Lock your bandhas in this asana, now do a vinyasa, focus on your drishti, feel the prana flow. 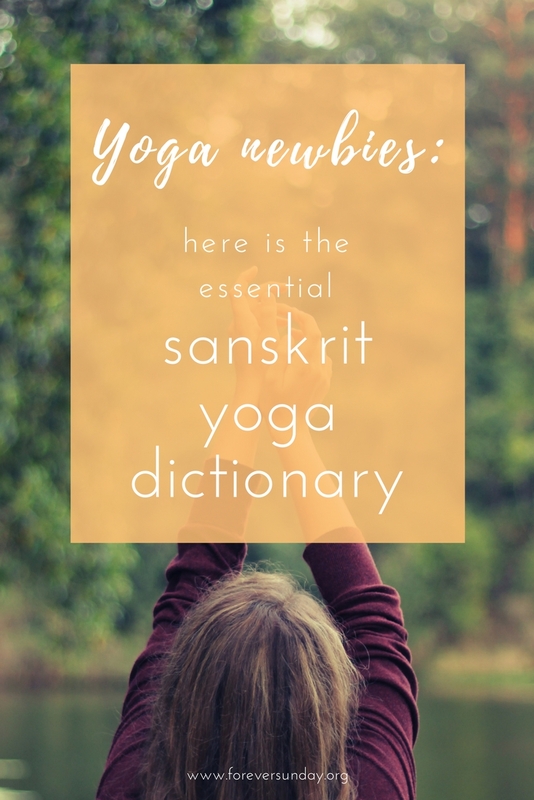 If you’ve been doing yoga for while, you probably know what these phrases mean, but when you first start going to yoga classes, all the Sanskrit terms can be a bit crazy and overwhelming. I know I would have wanted a yoga dictionary or someone to explain me these concepts when I first started out (instead of accidentally stumbling into an advanced ashtanga yoga class at the gym). 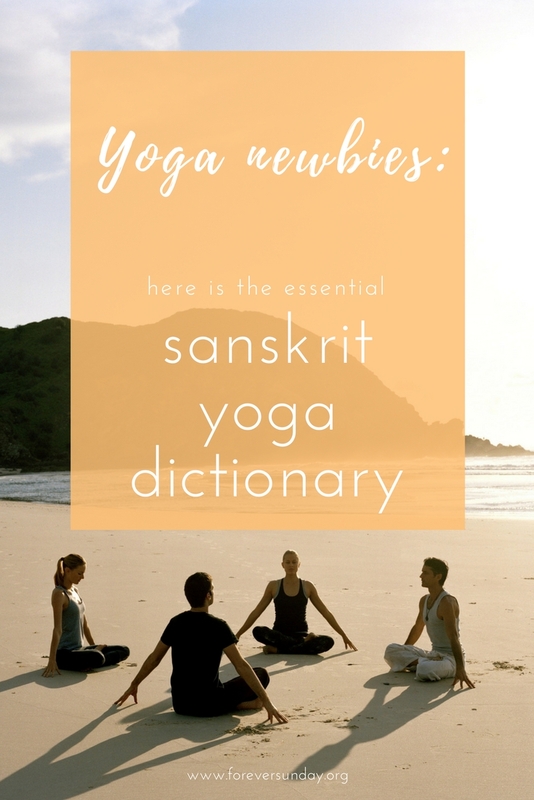 Here is the essential Sanskrit yoga dictionary for beginners. “Pose” or “posture”. You get into an asana, or hold an asana, meaning you stay in the same yoga pose, usually holding for a few breaths. Asana refers to the physical aspect or fitness aspect of yoga. Literally “eight limbs”. It can refer to the eightfold path of yoga according to the sage Patanjali, meaning there are 7 more disciplines to yoga than just asana. Ashtanga also refers to a certain dynamic style of yoga asanas with a fixed sequence. “Science of life”. 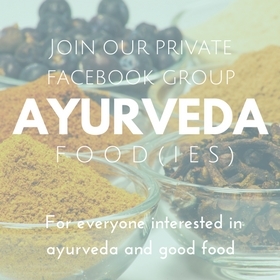 The Indian traditional medicine, rooted in the ancient vedic texts, the vedas. It is based on the idea that every person is individual in his or her constitution, and illness is a result of a lifestyle not suitable for your nature. Lock. By contraction, holding and release of the muscles of the lock, you can control energy flow and prana. The bandhas also help you steady yourself in balancing postures. There are 3 locks: mula bandha (root lock), jalandra bandha (throat lock) and uddiyana bandha (abdominal lock). Maha bandha is when you lock all 3 bandhas at the same time. “Wheel”. A representation of the main energy centres inside and outside the body. Commonly there are 7 main chakras identified within the body, each represented by a lotus with a number of petals. Each chakra has a corresponding color and mantra. You can visualise, activate, open, feel or heal your chakras, but they are usually only perceived after a longer time practicing yoga and meditation. Gaze, as in: focus (on) your drishti. Focussing on a fixed, non-moving point when doing asanas, especially in balancing postures, will help you concentrate and steady yourself. “Circle”. A mandala is a circle made of several layers of geometric forms, and can represent the universe or a deity. A mandala can be used as object for meditation. Sacred sound, like om, or string of sounds. A mantra can be the focal point of a meditation. Repeating a mantra makes it more powerful. “Seal” or gesture. The most well known mudras are gestures of the hands, like chin mudra (thumb and index finger pressed gently together) or prayer mudra, also called Anjali mudra or pranamasana (resting the palms of the hands against each other, thumbs resting on your breast bone). There are also full body mudras, they are very similar to asana. Greeting. Literally: the divine in me bows to the divine in you. Also AUM. The most powerful mantra, said to sound like the sound of the universe. When you chant om, you raise your vibration to equal that of the universe. Chanting om results in a feeling of wellbeing and has many other positive effects on the mind and body. Life force. Hard to describe, it is related to breath but it is more than that. We all have it and can learn to perceive it within ourselves. Can be noticed best in the (very) early morning hours, before sunrise. Humans and animals recognise when the life force has left a living being. Life force extension. Exercises to control prana through control of the breath. They can be energising, calming or balancing exercises. One-pointed state of consciousness attained in meditation, union with the divine. Mental impression or emotional pattern that is ingrained in our brain. Can be a good or a bad habit, or tendency to do or choose certain actions over others. Corpse pose. The final pose of any yoga class and also the most important one. The result of your practice comes together in savasana. By relaxing the body, the mind relaxes too and a meditative state can be reached. “Peace”. Usually sung three times after om, at the end of a class. “Sun salutation”. A sequence of asanas or postures, literally to greet the sun. The most complete form of exercise. Even if you don’t do any other form of exercise or other yoga postures, your body will over time be prepared for meditation. The 6th main chakra or ajna chakra, located a little up from the space in the middle of your eyebrows. Represents vision, intuition, subconscious awareness. Type of pranayama. Breathing in and out through the nose, lips gently closed, constricting the throat a little bit, letting the breath pass making the sound of the ocean. Can be executed by itself or during yoga poses. Flow. Usually means the combination of movement (asana) and breath, resulting in a moving meditation. “A vinyasa” can mean a part of the sequence of the sun salutation: plank or dandasana, followed by chaturanga dandasana (low plank), upward facing dog or cobra, downward facing dog. It is used as transition sequence between poses. Once you start practicing yoga regularly, you will come across many more Sanskrit words. Did I miss any in this yoga dictionary that you are dying to know? 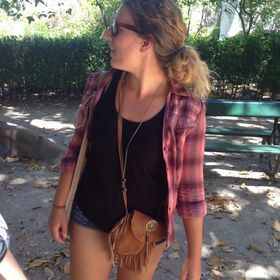 My Journey within...YTT. yoga teacher training. The hollow barn.